Let’s face it, most of us choose to take a multivitamin as a kind of daily health insurance policy to fill the gap between where our healthy diet leaves off and where micronutrient sufficiency is achieved. But, what if we were to tell you that many of the essential vitamins and minerals you think you are getting from your multi are likely missing or are being provided at less than beneficial quantities? That's right, your health insurance may be full of gaping holes, leaving you exposed to a wide variety of health conditions and lifestyle diseases. Grab your current multivitamin and compare it against our list of the 5 most commonly missing micronutrients. Did you know that many multivitamins only contain synthetic vitamin E (dl-tocopherol)? There are two forms of synthetically produced vitamin E – a natural source vitamin E (d-alpha-tocopherol) typically derived from vegetable oils and a synthetic vitamin E (dl-alpha-tocopherol) typically derived from petroleum products. While both are synthetically produced, lab made, standardized versions of vitamin E the difference between why one is considered to be beneficial and the other potentially dangerous has everything to do with the differences in the molecular structures of the two forms, which affect how well the vitamin is retained in the body and, in turn, its biological availability. Synthetic vitamin E (dl-alpha-tocopherol) is a mixture of eight alpha-tocopherol stereoisomers in equal amounts. Only one of these stereoisomers, 12.5% of the total mixture, is d-alpha-tocopherol, the natural form. The human body is confused by this new synthetic E. The carrier protein in the liver prefers the molecular makeup of the natural vitamin E. d-alpha-tocopherol, the natural form, is retained better and for longer time in the body when compared to the synthetic form. 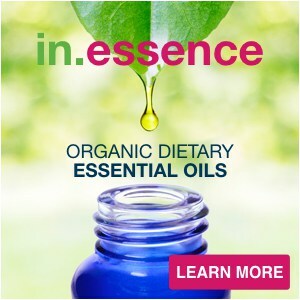 The bioavailability is approximately 2:1 for natural-source vitamin E over synthetic vitamin E. To compensate for the lower retention of synthetic vitamin E, a person or animal would have to ingest twice the amount of synthetic vitamin E (by weight) to match the bioavailability of the natural form. However, the problem with synthetic vitamin E goes beyond bioavailability, studies show that there is a real danger of negative health consequences when products contain the synthetic petrochemically-derived form of dl-alpha tocopherol. Research show that high doses—400 IU’s a day or more—of synthetic vitamin E (dl-alpha tocopherol) – may increase your risk of prostate cancer by 17 percent! Make sure your multivitamin does not contain any dl – synthetic vitamin E.
Additionally, vitamin E is split into 2 families the tocopherols and the tocotrienols which both contain 4 unique derivatives (alpha, beta, gamma, and delta). While most multivitamins normally contain alpha tocopherol they rarely contain the beta, gammal or delta forms or any of the tocotrienols, which have been shown to have 30-60% more powerful antioxidant properties than tocopherols. LOOK FOR: For the full health benefits of vitamin E look for a multivitamin that delivers a “Full Spectrum” of d-tocopherols & d-tocotrienols. Nutreince contains all 8 forms. 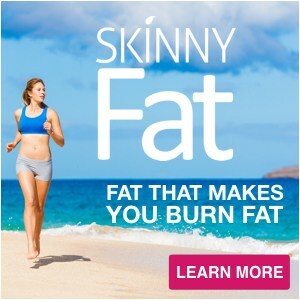 MISSING NUTRIENT #2: The Most Biologically Active Form of Folate – 5MTHF. Pregnant women need adequate folate (vitamin B9) or they risk having a baby with a neural tube disorder, but did you know that there is more than one form of vitamin B9 multivitamins might contain… and they are not created or utilized equally? This is important because both folate (from whole food) and folic acid are difficult for some people to convert into its active form due to a genetic mutation of the MTHFR gene that interferes with the production of the MTHFR enzyme that is required to convert food folate and folic acid into its active form (5-methylenetetrahydrofolate). It is not estimated that as many as 60% of the population may have this genetic mutation. This is why there are so many people out there cautioning against the use of synthetic folic acid, because people with the MTHFR mutation cannot utilize folic acid and it can build up in the body, which can increase levels of homocysteine – a risk factor associated with cardiovascular disease. In this case synthetic folic acid falls into the second definition and could be dangerous. LOOK FOR: For an active form of folate, that does not require conversion like folic acid and can be used by the body immediately, choose a multi that contains 400 mcg of the most absorbable form called 5-MTHF. Nutreince contains the Quatrefolic ® brand of 5-MTHF. Go ahead—turn over your multivitamin and see if it contains 500 – 600mg of calcium. We can almost guarantee you that it doesn’t…but it should. Now you may be asking why only 500 – 600 mg, why not 1000 mg? We suggest 500 – 600 mg because that is the maximum amount of calcium that can be absorbed by the body at one time. LOOK FOR: You also want to look for a supplement that supplies 500 – 600mg of calcium citrate (if you are taking a pill, tablet or capsule) or calcium carbonate along with non-GMO citric acid to stimulate the conversion of the calcium carbonate to calcium citrate in water if you take a powdered multivitamin (which we suggest for better absorption.) Nutreince contains 600 mg of ionically converted calcium citrate. FUN FACT: Remember, creating sufficiency in both calcium and magnesium not only helps to build strong bones, but also eliminates cravings for salty and sweet foods. Were we right about the amount of calcium in your current multi? Well, we can do the same trick with magnesium. We predict that your current multi does not have 400 mg of magnesium either (100% RDI.) No, we are not psychic, but the sad fact is most multivitamins supply only small amounts of magnesium, an essential micronutrient responsible for over 300 essential metabolic reactions in the body as well as controlling sugar cravings. 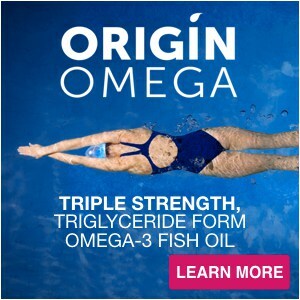 LOOK FOR: Again you will want to look for a supplement that supplies 400 mg of magnesium citrate (pill, tablet or capsule) or a powdered formula containing magnesium carbonate and non-GMO citric acid so it can be converted to magnesium citrate. Nutreince contains 400 mg of ionically converted magnesium citrate. Lastly, vitamin K is often omitted from many multivitamin formulations, but it is essential for bone strength and heart health. Look for a multi that contains both K1 and K2. And if you really want to go the extra mile (which we recommend) you want both forms of vitamin K2 (MK-4 and MK-7). PUTTING IT ALL TOGETHER –WHAT MULTI SHOULD YOU CHOOSE? 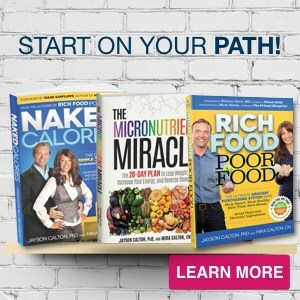 Now, this list only includes the 5 essential micronutrients that are most commonly missing from a multivitamin. It doesn’t even begin to mention the micronutrients that should NOT be included in a multivitamin such as copper and iron. 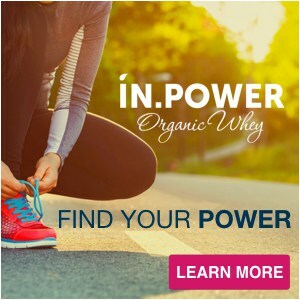 Nor does it talk about the many incredible accessory nutrients that can greatly improve the performance of your multivitamin such as CoQ10, alpha lipoic acid, carnitine, quercetin and grapeseed extract. The reality is, there are so many things to think about when it comes to choosing a well-formulated multi. But the good news is, we have a Multivitamin Stack Up Quiz that will evaluate and score your current multivitamin and will give you all the information you will need to choose a multi that will help you thrive in our hectic and often times stressful modern world. You can take right here. However, if you checked your multivitamin for the commonly missing micronutrients above and found that yours was lacking, you may want to toss it now and swap it out for a completely different kind of multivitamin. A convenient and delicious multivitamin beverage that has been formulated to supply you with beneficial quantities and the most bioavailable forms for 22 essential micronutrients. Discover the modern multivitamin that is formulated using patented Anti-Competition Technology™ to deliver superior absorbency and health benefits. Up level your multi today. 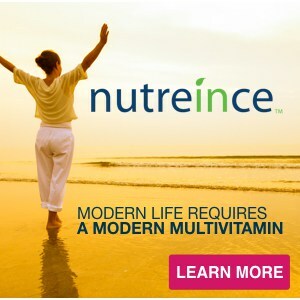 Click here to learn more about nutreince – The multivitamin Reinvented.